We are in an age where multimedia is pervasive. We use it to relax and to research. We use it to interpret the world and to communicate. We use it as artists. Drawing from courses in the Departments of Art & Art History, Computer Science, English (Film Studies), Music, Philosophy, Sociology, and Theatre, the minor in Arts, Technology and Multimedia offers students a flexible arts-focused exploration of the creative processes, digital resources, and collaborative strategies used in creating sound and visual elements for multimedia and intermedia works. 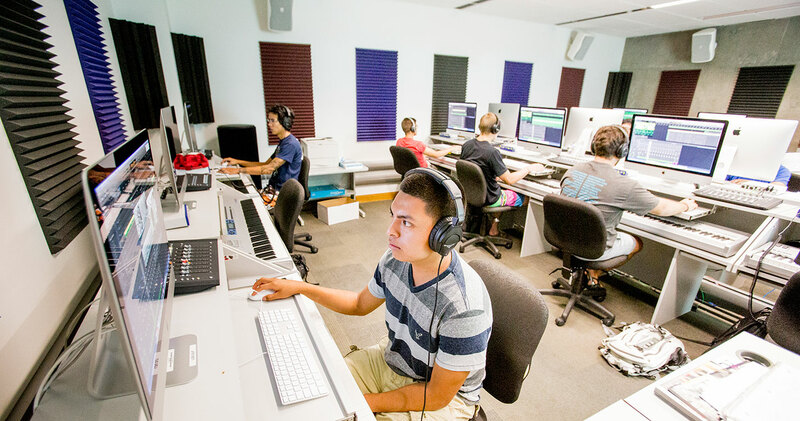 Through creative engagement and critical examination students will develop technique, conceptual and aesthetic sensitivity, and the ability to produce and critically evaluate multimedia and intermedia works from a variety of disciplinary perspectives. Collaborative projects between courses will serve as a central unifying element in the minor. Close attention will be paid to the expressive potential of and issues related to each media element as well as to the interaction of all elements.